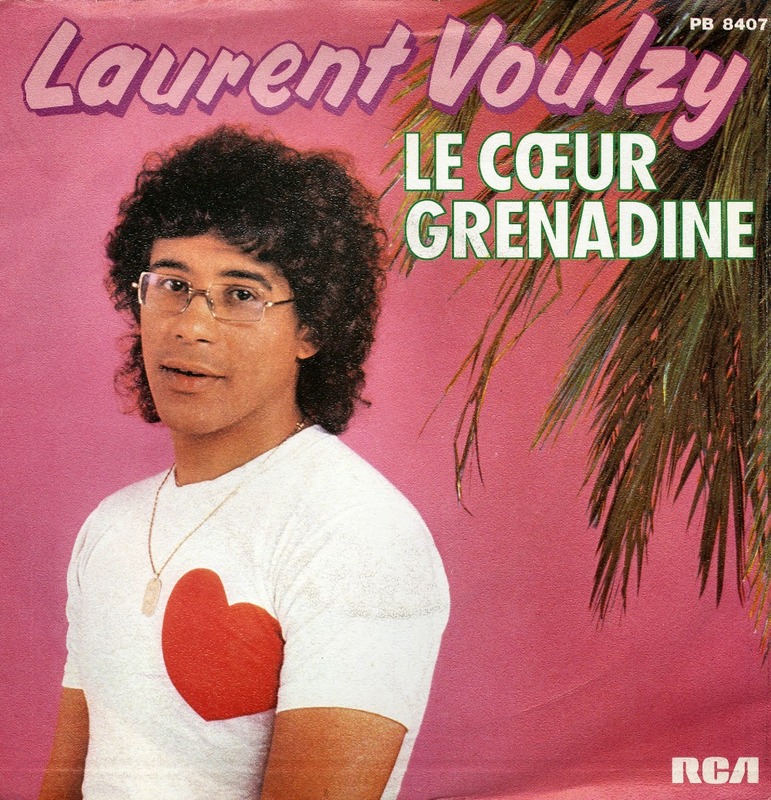 Taken from the album of the same name, Laurent Voulzy released 'Le coeur grenadine' in 1979. The single was a hit in France, although I haven't been able to establish just how big a hit the song was. In 2010, Laurent established a range of girls' clothing of the same name. 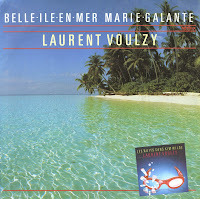 Voulzy entered my record collection when he released the single 'Les nuits sans Kim Wilde', but the compilation album 'Carib Islander' featured many more great pop songs. This single wasn't included, but it has the same breezy charm. 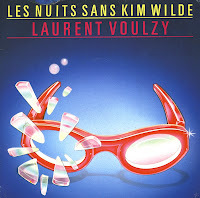 Laurent Voulzy wrote 'Les nuits sans Kim Wilde' together with his writing partner Alain Souchon after seeing music videos of Kim Wilde on television. He felt rather infatuated by this beautiful lady on the screen. Kim was approached to sing guest vocals on the track, and after some hesitation, she agreed. She eventually even appeared in the music video to promote this single. Released in the summer of 1985, it was a hit in France, but was not released in other territories. However, in early 1986 the single was re-released. The sides were switched, and 'Belle-ile-en-mer Marie-Galante' was now the A-side. This single was an even bigger hit in France, and was also released outside of France. During a TV programme in France a few years later, Voulzy and Kim Wilde performed a version of this song together. 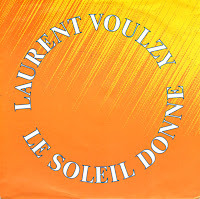 One of Laurent Voulzy's biggest hits in France was 'Le soleil donne', released in 1988. The song featured verses in French, English and Spanish and a very radio- and summerfriendly melody. The single was even released outside of France, as is evidenced with this particular single, made in Germany. 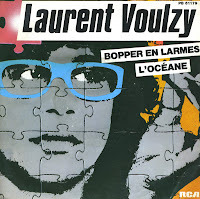 'Bopper en larmes' is a rather straightforward pop song, not one of the things Laurent Voulzy specialized in during the Eighties, when he was predominantly releasing ballads and well thought out album tracks. Still, it was a hit for Voulzy in France, where he has always had a big fan following. Outside of France, he remained virtually unknown. 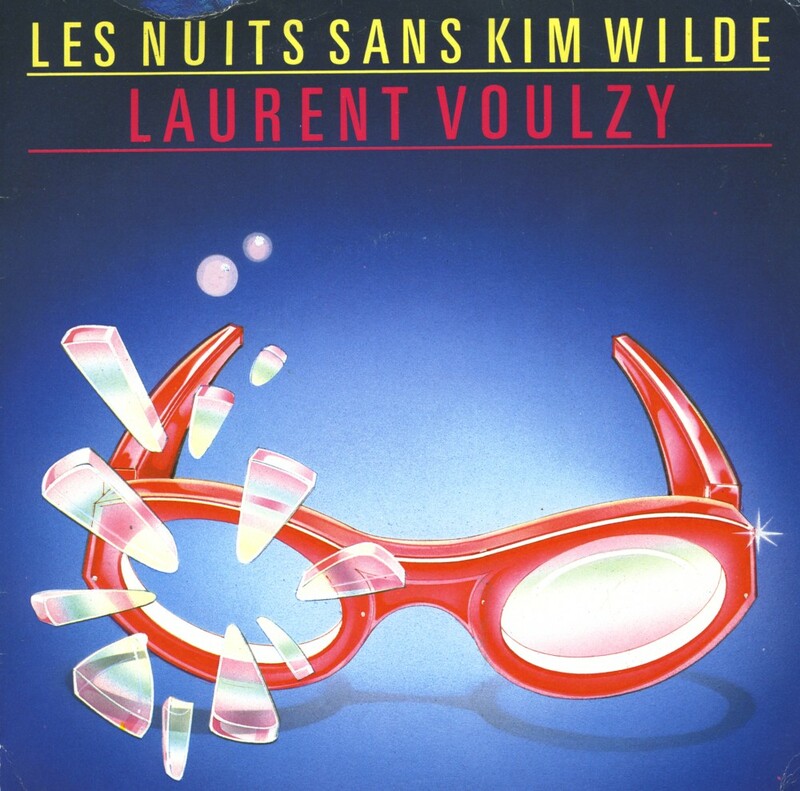 Laurent Voulzy recorded the song 'Les nuits sans Kim Wilde' in 1985, a tribute to the English singer and a remarkable pop song. I bought the compilation album 'Carib islander' a decade later and found out that Voulzy actually made several remarkable pop songs - and some lovely chansons as well. 'My song of you' is one of those chansons. Despite the English title, the song is almost entirely in French and showcases the amazing talent of Voulzy to write and perform a very melodic song seemingly without effort. Laurent Voulzy was born on December 18, 1948 in Paris, France. After leading the English-pop-influenced band Le Temple de Vénus in the Sixties, he worked with Pascal Danel between 1969 and 1974. He started writing songs with Alain Souchon and released this debut single 'Rockollection' in 1977. Long before the world came to know Stars on 45, he introduced the idea of mixing together wellknown classic songs - but in this case, interspersed with an original lyric by Souchon and himself. On the A-side you can hear him singing 'The locomotion', 'A hard day's night', 'I get around', 'Gloria' and 'Satisfaction', followed on the B-side by 'Massachussetts', 'Mellow yellow' and 'California dreaming'. The single was an international hit, although it did not chart in the Netherlands.